By now, most of us know that things like refined sugars, smoking, and GMOs are bad for our health. But one of the biggest health disasters is stress, chronic stress. You know, the kind that is experienced on a daily basis, like a terrible commute, mounting bills, and relationship troubles. While stress comes in all different varieties, the effect on our body is always the same: stress hormones like cortisol and adrenaline are released into our blood stream day after day, and these hormones wreak havoc on our health. Those stress hormones I just mentioned? They have the ability to turn on or off genes in our body. This is really important to understand because these genes do everything from decide how much fat you store to how fast you age, to how well your immune system works and whether or not you will develop cancer. Mitochondria are like little factories inside of your cells that make energy. Specifically, they produce ATP, the currency through which all of the cells and organs in your body are able to do their important work. But stress damages your mitochondria, resulting in loss of energy and your body’s ability to function properly. Critical parts of your brain, such as the hippocampus, which is responsible for memory, can become damaged when subjected to high levels of stress hormones. In order for the brain to protect itself, it will send an order to shut down the adrenal glands (where the stress hormones are made and released). This is why people subjected to chronic stress experience adrenal fatigue. Stress is the ultimate enemy of your immune system, and chronic stress can lead to a significant increase in the number of colds and flus you experience each year. You may also notice your wounds take much longer to heal and that an infection you thought went away suddenly comes back. Once those stress hormones are released, your body works hard to keep you from danger. This is the “fight or flight” response. The thing is, your organs, like you heart, don’t know that the danger is a stack of bills, it assumes the danger is a tiger you must run from. And so it pumps extra hard to get blood to all of your muscles so you may run fast and save your life. Chronic stress can lead to an enlarged heart, an increased thickness of artery walls, high blood pressure and heart disease. Research has shown that stress impacts the function of your gut. As you know, 80% of your immune system is in your gut. Stress, then, leads to inflammation, food sensitivities, and even some autoimmune diseases. When you look at what stress does to the body… it’s not a pretty picture. 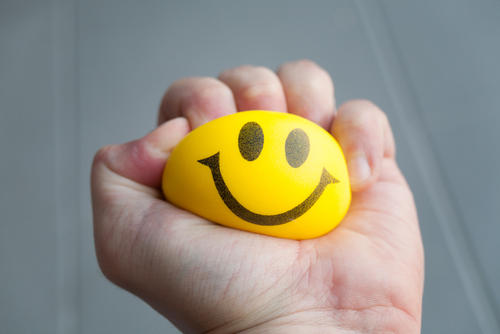 The good news is, while you can’t make your boss be nice to you or stop paying your mortgage bill every month, there are ways you can beat the effects of stress. Most of us hold our breath often or breathe shallowly. But taking slow, deep breaths has been shown to combat stress and relax us. This is because the vagus nerve, also called the relaxation nerve, goes through the diaphragm and is activated with each breath. Try taking a few slow, deep breaths right now and notice how different you feel. And speaking of relaxing, most of us believe that sitting on the couch drinking a beer and streaming Netflix helps us relax and unwind, but in reality, these activities do nothing to combat the effects of stress. So, after a particularly stressful day it’s better to focus on activities like deep breathing, meditation, or taking a leisurely stroll with your dog, rather than sitting there doing nothing. But remember, whatever activity you feel helps you relax the most, even if that does involve sitting around doing nothing, commit to doing that every day. Stress, and our awful response to it (think smoking, drinking, and eating too many processed foods) can rob our bodies of vital nutrients. And, when our bodies don’t have what they need to work properly, we feel even worse and can become quite sick. It’s important to take a multivitamin, making sure to get adequate quantities of things like vitamin c, the B-complex vitamins including B6 and B5 or pantothenic acid; zinc; and most important, magnesium, the relaxation mineral. Forget about exercising to get that beach body, get your body moving to save yourself from chronic stress! Stress not only helps your body burn off those stress hormones (remember, you’re supposed to be running from a saber tooth tiger), it also helps release feel good chemicals like endorphins. Sometimes the stress we experience is solely based on our perception of reality and our reaction to it. When we are able to change our perception, beliefs, attitudes and responses to common situations, we can reduce the stress we experience and live more peacefully and joyfully. The only thing worse than feeling stressed is feeling stressed and isolated. It’s important that you build a strong network of friends, family and community so you can be each other’s allies in the war against every day life! Know what increases stress hormones? You guessed it, a lack of sleep. It’s important you get eight hours of sleep each night. Turn the TV off. And don’t take your tablet or smartphone to bed, these devices emit a blue light that inhibits your ability to fall asleep. Most of us won’t get through life without experiencing some kind of stress. But the good news is, you now know some simple ways to take control and kick the effects of stress to the curb.